As soon as I figure out which car it is, I’ll add it to my list. That’s one hot Kikulicious garimoja there. Damn. I want this car. I guess it’s all due to the fact that we had this car in the 1970s.? Nissan Skyline. Ha! Makes me think of the KJT I’ve seen the other day…muahaha. 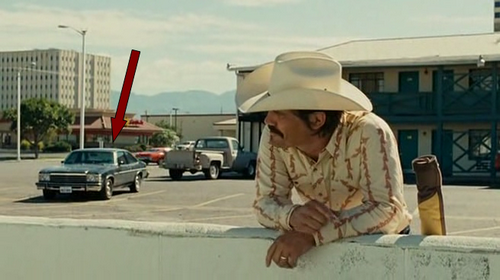 I guess this means that you watched No country for old men. Did you find yourself rooting for Anton to just smoke the guy already>. That cow-killer guy of his was just double-bad. beautiful gari that! wow, looks modded though, at least the front end, making an ID even that much harder. @Ntwiga: eh! Even had problems understanding the Texan accent. @Banks: thx, will pay attention to those. At first glance Buick came into my mind – dunno why. Guess I’ve never really seen such a thing in RL. Yeah. Could be a 1977 Buick Regal.